This book argues that innovation and stylistic variation played a significant role in ancient Egyptian art. The painted and relief-cut walls of ancient Egyptian tombs and temples record an amazing continuity of customs and beliefs over nearly 3,000 years. Even the artistic style of the scenes seems unchanging, but this appearance is deceptive. 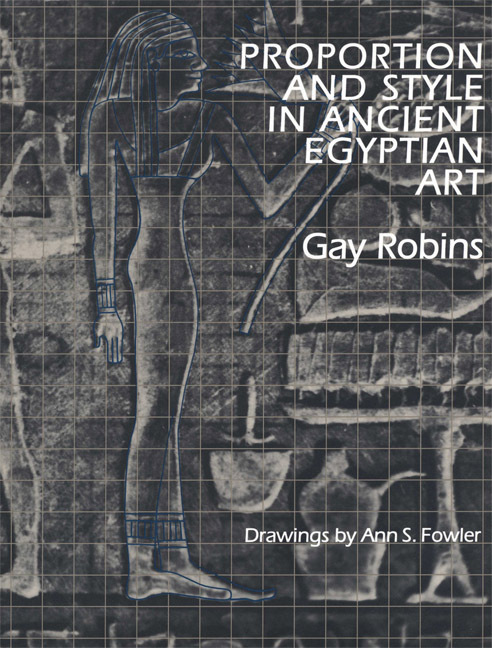 In this work, Gay Robins offers convincing evidence, based on a study of Egyptian usage of grid systems and proportions, that innovation and stylistic variation played a significant role in ancient Egyptian art. Robins thoroughly explores the squared grid systems used by the ancient artists to proportion standing, sitting, and kneeling human figures. This investigation yields the first chronological account of proportional variations in male and female figures from the Early Dynastic to the Ptolemaic periods. Robins discusses in detail the proportional changes underlying the revolutionary style instituted during the Amarna Period. She also considers how the grid system influenced the composition of scenes as a whole. Numerous line drawings with superimposed grids illustrate the text.